This New Illinois Fruit and Vegetable Farmers site presents the content of a University of Illinois project focused on training new and aspiring farmers in Illinois. 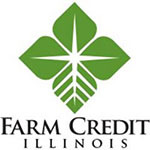 This project, Preparing a New Generation of Illinois Fruit and Vegetable Farmers, was supported by grant number 2012-49400-19565 from the United States Department of Agriculture’s Beginning Farmer and Rancher Development Program. From 2012 through 2015 we provided online, in-person, and hands-on training for over 300 new and aspiring farmers. We did so by providing online resources and holding classes one Saturday per month at each of three University of Illinois Research and Education Centers (farms) in southern, central, and northern Illinois. Separately, we delivered classes in Spanish to Hispanic participants in the same regions each year for three years. More than 25 University of Illinois faculty and Extension staff contributed to this training program, as did multiple farmers, staff from USDA’s Natural Resources Conservation Service and Farm Service Agency, and staff from the Illinois Migrant Council. Farmers, aspiring farmers, and educators may use any or all of the training materials developed for this project by following the links below. If you use any of this information in any format please include the following acknowledgment "From information developed by the University of Illinois Extension funded by NIFA Beginning Farmer and Rancher Development Program Project Grant # 2012-49400-19565." For most topics, recorded presentations with audio, Power Point files (in pdf format), are available. Additional resources for new and existing fruit and vegetable farmers include the Illinois Fruit and Vegetable News (newsletter), the Illinois SARE calendar, the website for University of Illinois Extension’s Local Food Systems and Small Farms team (with archived webinars at http://web.extension.illinois.edu/smallfarm/webinar.html) and the website for the Illinois Specialty Growers Association (with presentations from annual conferences available via links on the right side of their homepage).